GC receives high marks for value, study abroad, named among best Christian, liberal arts colleges in the nation. Goshen College has been named one of the top 200 best values in private colleges by Kiplinger's Personal Finance. The annual college rankings have hit the presses, and Goshen College was again included by "U.S. News & World Report" and Forbes magazine on their lists of best U.S. colleges. 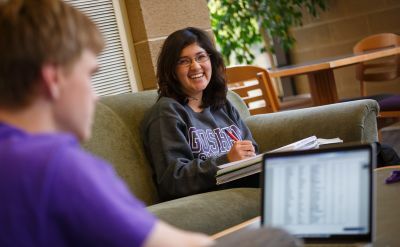 In a report eagerly anticipated by incoming college students and their parents, Goshen College placed high in the third tier of Best Liberal Arts Colleges for the eighth straight year in the "U.S. News & World Report" 2009 edition of "America's Best Colleges." Goshen was ranked 149th out of 265 of the country's top liberal arts colleges. In its first ratings of America's Best Colleges, Forbes.com ranked Goshen College 159th out of all U.S. colleges and universities, based on the quality of education provided, how much students achieve and several other key factors. Sixteen Indiana schools made the list, with Goshen placing seventh among them-- ahead of such universities as Taylor, Butler, Ball State and Purdue. Goshen College placed in the third tier of the category of "Best Liberal Arts Colleges" for the seventh straight year in the 2008 U.S.News & World Report "America's Best Colleges" ranking.